Deluxe burger and shrimp restaurant, Bun & Bowl, has opened its doors in the Birmingham’s iconic Cube building. A first of its kind for the city, Bun & Bowl is the third restaurant to be opened in The Cube by restaurant entrepreneur Mike Nayla and is located on Level 7 – between Mike’s Brazilian Churrascaria Rodizio Rico, and his recently opened French-themed coffee house Madeleine. 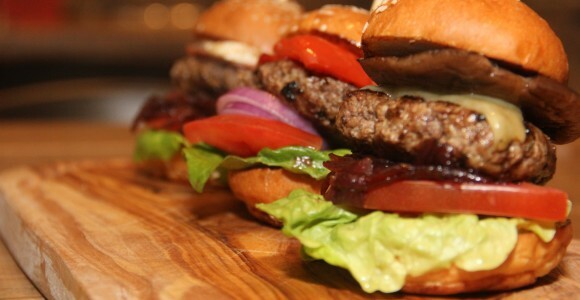 Offering a simple, yet gourmet style menu of burger and shrimp dishes, diners can choose from a delicious selection of beef, lamb, chicken or fish burgers and a variety of shrimp dishes served with freshly baked bread. There are also options available for the vegetarians amongst us. In addition, like Rodizio Rico, Bun & Bowl also offers a selection of cocktails for those who like to add a drop of glamour to their meals.